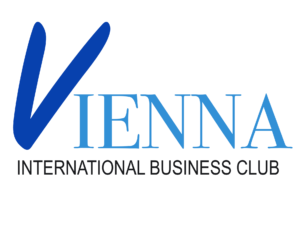 On the 12th of September, 2018, the Maple Leaf International Business Club celebrated its four-year anniversary at an event hosted at Bionista in Vienna’s 1st district. 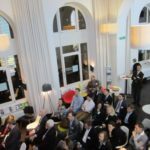 The event was highlighted by a panel session on the “Decentralization of Management,” and included experts from the fields of business, entrepreneurship, and academia, and drinks and food provided by the wonderful staff of Bionista. 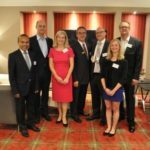 The speakers at the event were Elizabeth Lux, Director, People & Culture, Global R&D at Jumio, Karin Haberleithner, Organizational Development Consultant at Inspire Pioneers, and Dr. Horst Treiblmaier, Full Professor and Head of the Department of International Management at MODUL University. It was moderated by club deputy president Yaël Ossowski. Outgoing club president Wendy Williams opened the evening’s event by introducing the Maple Leaf International Business Club’s new board of directors and ceded the moderation to the incoming club president Yaël Ossowski. 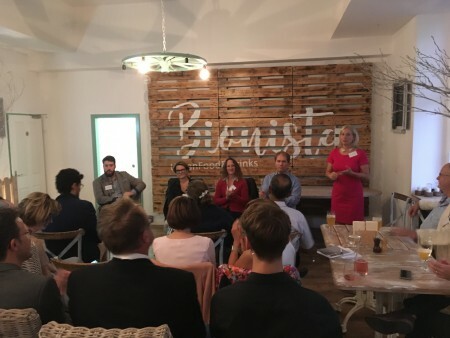 After a wonderful discussion among the panelists and the audience, club members were able to connect with each other whilst enjoying Bionista’s great selection of drinks and food.